The Second Vatican Council describes the Eucharist as "the source and summit of Christian life" (Lumen Gentium, #11). At Bishop Shanahan High School, students, faculty, and staff have the opportunity to participate in Holy Mass each morning in our beautiful school chapel at 7:40 AM. As a student body, we also gather for special liturgical ceremonies and masses including an opening mass to kick off the school year, Thanksgiving Liturgy, Advent Mass, Christmas Mass, May Mass & Crowning, and Closing Mass at the end of the school year. Each school day and every class begins with prayer. 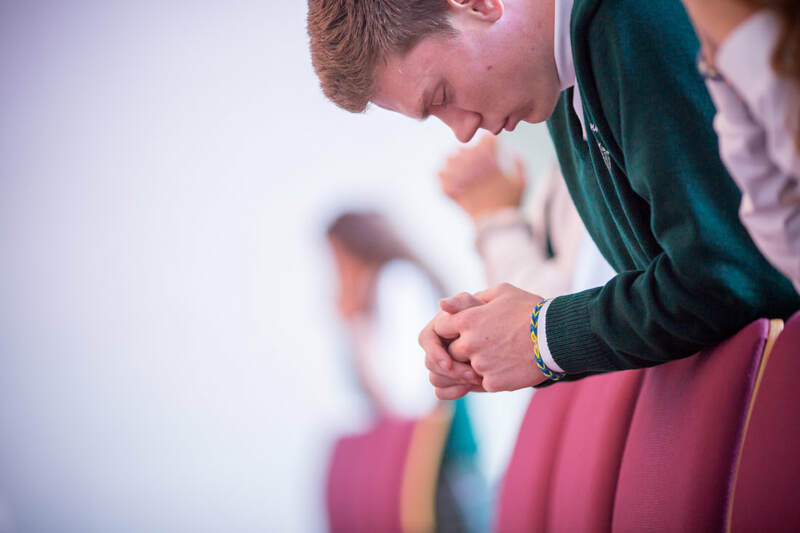 Bishop Shanahan faculty and students are encouraged to grow in friendship with Christ by developing a life of prayer. "I came that they may have life, and have it abundantly" (John 10:10). To a world marred by sin, Jesus Christ came to give us the fullness of life by freeing us from the wounds of sin and division. In the Sacrament of Reconciliation, our Savior truly forgives our sins and brings us healing, peace, and forgiveness. Saint John Paul II, in his apostolic exhortation Penance and Reconciliation, notes that the specific mission of the Church is to offer us the gift of reconciliation (cf. #23). 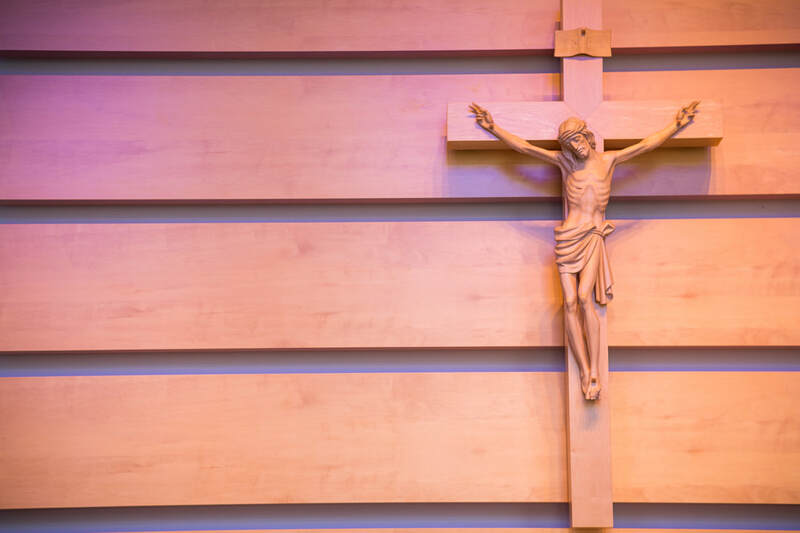 At Bishop Shanahan High School, our students have the opportunity to go to Confession every Friday, at the school penance services in September, during Advent and Lent, and upon request. The Catholic Church teaches that in the Holy Eucharist, the body and blood, soul and divinity of Jesus Christ is truly, really, and substantially contained (cf. Catechism of the Catholic Church, #1374). Given this belief, it is a longstanding tradition to worship Christ truly present in the Blessed Sacrament by exposing the Eucharist in a monstrance on the altar for periods of prayer and adoration. 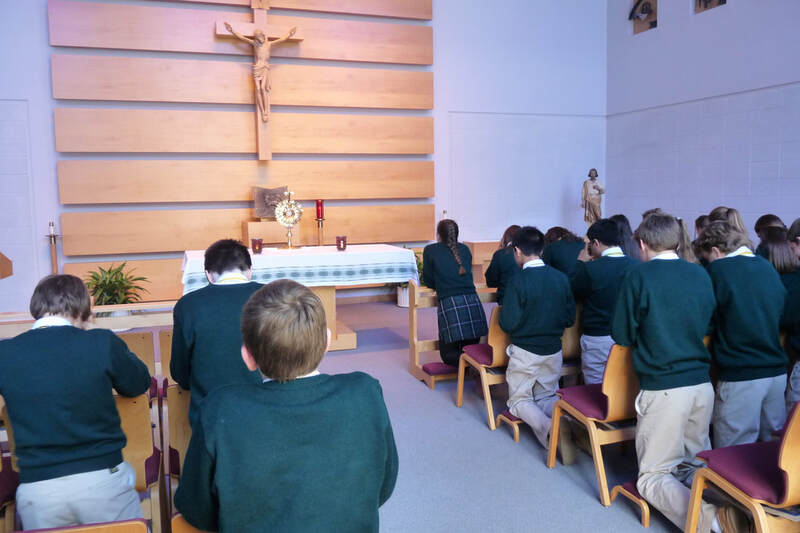 At Bishop Shanahan High School, Exposition of the Most Blessed Sacrament occurs regularly on Fridays in the Chapel from the conclusion of the 7:40 AM Mass until Benediction at 2:45 PM.